Coldplay aren't the only band with a choose-your-own-adventure-style interactive music video. 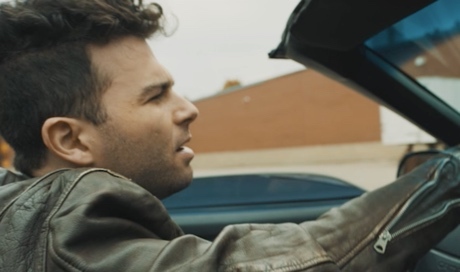 Canadian rockers Arkells just unveiled a video for their song "Leather Jacket" that relies on a similar principle. The interactive film for this catchy tune from High Noon concerns a woman and some rather shady gangsters. There are lots of guns and nefarious goings on, but luckily Max Kerman is willing to swing by in a convertible when ever the woman calls him from a payphone. Along the way, viewers can change the video's plot by choosing between various objets on-screen. It's directed by Amit Dabrai. Watch it over at the MUCH website.